The pannier or saddlebag is the original riding luggage and was used by cowboys, soldiers, and postmen, to name just a few. Even though there are now many types of motorcycle luggage available, panniers are still the first choice for most bikers. If you are looking for the best pannier to fit your bike, here is what you need to know. I’m absolutely in love with the Givi EA101B Easy-T panniers because of their great style and the extras like the mini zip compartment. If you need something larger though, go with the Autokicker Revolve. Both of these are great panniers for your motorcycle. The most important thing to consider when choosing panniers is size. If the panniers hang too low they can go over the exhaust and get damaged. 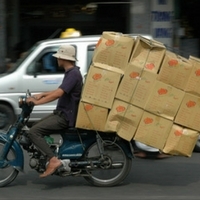 In serious cases, the bags can get sucked into the rear wheel. I don’t have to tell you how disastrous that could be. Even if your bike can fit large panniers, it doesn’t mean you should get the largest panniers you can find. 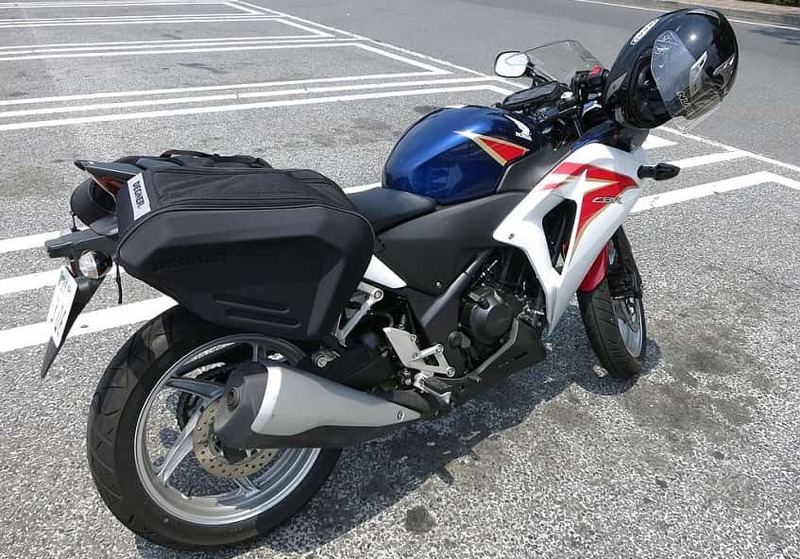 If you get to the point where you are overloading your motorcycle with panniers, then it is time to start adding other motorcycle luggage, such as tank bags or top boxes. Before you buy panniers, it is important that you measure carefully. Even though most have a hard protective bottom, they can still get damaged by the exhaust. You must have at least 2 inches of clearance between the exhaust and pannier. The higher up your exhaust goes, the smaller panniers you’ll be able to fit. Side-to-Side: Measure the distance from the back of the seat to the indicator. This is the maximum width of the panniers. You might need to relocate your indicator to the back of the bike. Top-to-Bottom: Measure from the seat pad to the exhaust pipe. Your panniers need to be at least two inches shorter than this measurement. With these measurements, you should be able to figure out the right size panniers for your motorcycle. Panniers consist of a yolk in the centre and two bags on each side. Depending on the bag and your bike, you can put the yolk under or over the seat. Going under the seat is more secure because the seat is holding the pannier straps in place. However, going on top of the seat can add a bit more distance between the bag and exhaust. Obviously every bike is going to be a little bit different so you may have to play around a bit to get a solid fit. Without getting into the great debate about whether hard or soft motorcycle luggage is better, I can tell you that soft is almost always best for panniers. For new riders, hard luggage can be dangerous. As one bike forum member noted from experience, if you forget that you’ve got bulky panniers on your bike and twist your wrist at the wrong time, you will break your own leg. The only time you should really consider hard saddlebags is if you need to securely carry sensitive equipment like laptops. When we imagine panniers, it is usually big leather bags that come to mind. Leather was the original material used for saddlebags and has a cowboy feel. A lot of people (especially Harley riders) prefer the timeless style of leather panniers. However, aside from style, there aren’t too many benefits to leather. Compared to modern synthetics like polyester, leather requires a lot of maintenance. Even if you take really good care of your panniers, acid rain and sun will quickly take a toll on the bag. Plus, it can be really annoying to open/close straps on leather bags. If you choose to go with polyester motorcycle panniers, pay attention to the material’s denier. This is a rating of how thick the material is, and thus how much abuse it can tolerate before ripping. I love how a classic leather pannier with fringe looks on a cruiser bike. However, after listening to the complaints of riders who use them, I would never buy one myself. Those straps are really difficult to open/close – especially when you have gloved hands. I personally love the way the Givi EA101B Easy-T panniers look. The hexagonal shape looks ultra-cool on any type of bike. It helps that the hex shape isn’t just for style – it actually helps add rigidity to the bags so they keep their shape better. 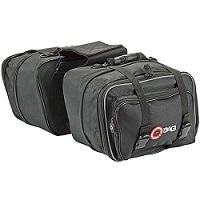 One of the things that Givi does really well with their motorcycle luggage is portability. The Easy-T saddlebags have a shoulder strap so you can carry them easily. The bags even look good when carrying them (if you haven’t noticed, I really love the style of these bags). It is a bit awkward to carry both panniers at once though when you are without a pillion. As for other features, Givi delivers everything you’d expect from one of their products in this price class. You’ve got a dependable safety straps for fitting the panniers, rain covers, and a sturdy construction. Thanks to the mini-zip, you can easily remove items from the main compartment while on the go. I do wish the fabric was a higher denier, but the bags are reinforced with rigid plastic so they hold up well. 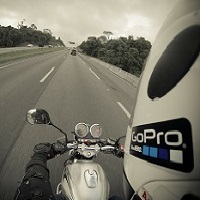 Autokicker isn’t as well-known as other motorcycle gear manufacturers. 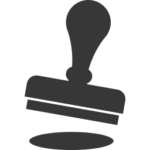 Because of that, you might wonder if you can trust their gear – especially considering the affordable prices. For mid-priced panniers, the Revolve is very impressive. It has everything you’d expect from a high-end bag like sturdy construction, durable zips, lots of pockets, and sturdy straps. They’ve even added a lot of little extras, such as the soft padding inside the saddlebags to prevent scratching of your bike. The only major complaint about these panniers is that they are a bit difficult to put on the first time and the instructions aren’t much help. Richa makes a lot of urban-style motorcycle gear like city jackets and boots. Their throw-over panniers follow this trend. The bags have a rounded shape to them which looks aerodynamic and sleek on a bike. Unfortunately, the rounded shape does mean a smaller capacity but that’s the price you pay for stylish gear. For its price class, the Richa offers everything you’d expect of mid-priced panniers. The Velcro straps are sturdy, the zips are solid, and it seems to hold up well in rain. It is expandable in two places, and the centre zips can be locked. Expanded to 42 litres each, these saddlebags are great for holding big gear like bulky sleeping bags. The compartments and expandability make them great for organizing lots of smaller gear and clothes. The reason that these panniers by QBag made the best list is because they are tough. The straps are sturdy enough so you don’t need a bracket to fit the saddlebags. The zips are strong and the material is a high denier. However, as you’d expect with cheaper bags, there are some design flaws. The compartments unzip from the sides, so you can’t remove anything from the panniers while they are attached without risking it all falling to the ground. There is an easy on/off system though, which makes them great as your overnight bag. The other major flaw is that the rain covers weren’t designed well. They don’t cover the side of the pannier which touches the bike. So, water from your rear wheel can splash here and get everything wet. You’ll want to use a different cover or make sure all your gear is in waterproof bags. One of the benefits of choosing a cheap pannier is that you don’t have to worry about it getting stolen or damaged. However, this usually comes at the sacrifice of quality. 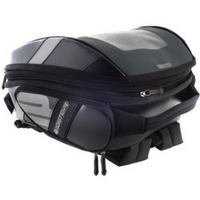 Ryde is one of the better companies when it comes to cheap motorcycle gear, like this twin pannier bag. For cheap panniers, the Ryde holds up surprisingly well. After an hour ride in the rain, the contents were still not wet. I do wish that they came with some rain covers though. The major flaw of the Ryde panniers is the zips. They are weak, flimsy, and hard to handle with gloves on. I can’t attest to how long the zips will hold up, but I doubt it will be very long. I’m also a bit worried that the Velcro straps will fail. Use some extra cable tie-downs if necessary.